Yoga is the holy grail of wellness in the 21st century and we’re riding the wave. 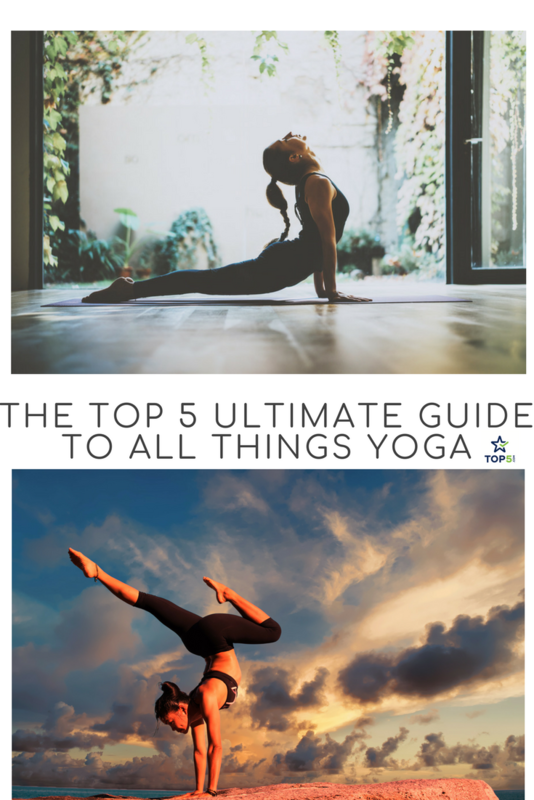 Whether you randomly drop in from time to time or you’re a full-time yoga instructor, this guide has everything you need to know from yoga positions, yoga retreats, and different types of yoga. This is for all of the yogis and yoginis out there. 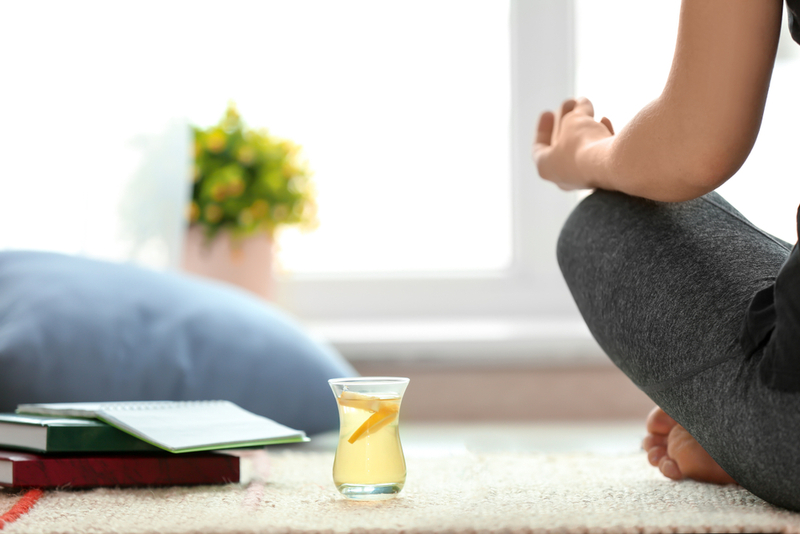 Although yoga has become many people’s workout regime of choice over the past few years, many people still have some misconceptions about the art of yoga before they even try it. Before we jump into the guide, we wanted to dispel some common myths, with the help of celebrity yoga instructor Kristin McGee, about it. The slightest amount of yoga can benefit everyone. I often say, “A downward dog a day keeps the doctor away”. Yes, some classes can be an hour to 90 minutes in length; but you can also find quick 10-15 minute practices (I have apps and yoga DVDs that run from 10 to 50 minutes in length so you can choose what you have time for). You can also do yoga stretches at your desk, in your bed or when you have an extra few minutes at the beginning or end of your day. Once you start making a bit of time for yoga, you’ll find you love it so much that you’ll end up making more time to fit in a few longer practices. Yoga helps you stay focused, which will actually give you more time in the long run since you will be more efficient. My classes are filled with plenty of men as well as women. As a matter of fact, yoga originated in India by men. It wasn’t until yoga came stateside that women were the main practitioners. It may be 70% women 30% of men in classes often, but I’ve also taught classes where the men outnumbered the women. I have to laugh when people tell me “I can’t do yoga, I’m not flexible.” It’s like saying “I can’t strength train, I’m not strong.” One of the goals of yoga is to gain flexibility and you have to start somewhere. I highly recommend everyone who is inflexible to start practicing now! Not true! Most yoga (especially practiced in the US) involves actively holding and flowing through various postures using your own body weight. Yoga is much harder than most people expect. I see clients for the first time and they are sore all over the next day. Yoga works your entire body from head to toe. There are also meditative type classes; but even restorative yoga and meditation require a lot of strength, stamina, and concentration to perform. Entering the world of yoga can be an exciting journey once you navigate the complex and ample amount of instructors, classes, and terminology that is in the yoga world. Most people get into yoga through word of mouth, it seems like everyone is doing it these days and everyone-especially millennials are getting into the spiritual practice of yoga. But where does one begin in the vast world of yoga? The most obvious choice may be to head to your local yoga studio. The downside is that in-person classes can be expensive and it can be hard to fit it into your schedule. A good place for beginners to get acquainted with yoga is right in the comfort of your own home. Thanks to YouTube there are a bunch of wonderful online yoga instructors to choose from. Yoga with Adriene is one of the most popular YouTube yoga instructors out there. Adriene Mishler’s mantra “do what feels good” is the center of her brand and a theme throughout her videos. Adriene’s style of instruction is easygoing, mindful and charismatic and she gently guides you through the spiritual and physical aspects of the practice. Some recent videos are yoga for future, yoga for self-respect and restorative yoga. You can always count on a Yoga with Adriene video to boost your mood, start your day and make you feel good. Floating Yoga School with Helen Cloot offers an authentic, in-class yoga experience all from the comfort of your home. Watching an online class with several students offers different examples of how certain poses can look, all on different body types. Helen Cloot’s classes are also great for beginners for learning each pose and how to get into them. Online classes with Helen Cloot will give you the perfect base to elevate your yoga practice. If you’re looking for more suggestions on instructors that teach great yoga for beginners, check out Top 5 Must Follow YouTube Yoga Instructors for Beginner Yoga. When you’re starting out, you might be too nervous to go to a class right away. There are many websites that offer online courses so you’re able to get instruction to start out in the comfort of your own home and gradually work your way up in difficulty. We like Yoga International and Gaia to get started with yoga at home. With all the different yoga studios coming up all over the place it’s confusing to know which yoga you should try. There are dozens, and they all serve a specific purpose. Most seasoned yogis can tell you exactly what type is their favorite, but if you’re new to the scene then it’s best to learn now. Thankfully, there are plenty of explanations of the different kinds of yoga online, but the most popular always comes down to the following types. Hatha yoga is one of the most well-known types of yoga. It’s known for being easy to learn the poses, and perhaps also due to the fact that it is upon the poses here that every other physical yoga practice is based on. Most people start with Hatha yoga in their Level 1 or gym yoga classes. It is an excellent practice if you’re starting out and to continue to grow with. It’s excellent for all aspects of health, including cardio, strength, flexibility and stress management. Started by Krishnamacharya who later passed it on to Sri Pattabhi Jois, Vinyasa yoga is a very active form of yoga. Known for its flowing sequences and focus on the breath, this type of yoga will most likely have you sweating but is somehow is also invigorating and relaxing at the same time. Perhaps it is the repetitive flowing sequences in combination with the calming music that has this type of yoga bringing in those who want their yoga practices to be more intense than the general Hatha yoga classes. If you would like to add a little speed and intensity to your Hatha yoga practice, this is the one for you. Ashtanga is known in the West more for its integration of ‘cardio’ into the practice. It is faster and more difficult, making it the go-to for gym rats and experienced yogis. If you’re looking for a practice that is more aggressive and has less calming properties, this is for you. Ashtanga classes will have you sweating and almost always sore the day after. Over the past few years, Bikram yoga has risen in popularity thanks to the work of celebrities and influencers alike. Bikram yoga is not for the faint of heart, it is set in a room that is heated to anywhere from 95 to 105 degrees Fahrenheit. This is to increase the intensity of the practice on the body, increasing strength, flexibility, and detoxification through sweating. Although excellent for those on detox programs and those seeking weight loss benefits, Bikram does come with a few warnings. Always leave the room if you are feeling overheated, always rest when you feel the need to, and always replace lost electrolytes with coconut water right afterward. Iyengar Yoga is the perfect type of yoga for those of us who really want to relax deeply while getting some amazingly thorough all-over body stretching. Moving slowly, Iyengar practices hold precisely aligned poses for a minute or more, often utilizing straps, blocks, cushions and blankets. Iyengar is excellent for those recovering from an injury, the elderly and those who are disabled. Finding a yoga practice that suits your needs can seem daunting, but rest assured that as long as you start with Hatha yoga, or level 1 in any other kind, and let the teacher know you are a beginner, you will be perfectly fine. If you are more experienced with yoga, give the different kinds a try – experiment! You may just find your secret treasure amongst the less popular kinds. Once you’ve started practicing yoga, it is easy to get addicted to the spiritual, mental and physical benefits of the lifestyle. You can target specific areas of your body with specific yoga positions, or you can work on your overall mental wellbeing with certain poses and flows. The first thing that is essential to yoga is mastering yoga breathing technique. In yoga, the breathing technique is referred to as pranayama which is the “controlled intake or outtake in an established posture”. There are several different types of yogic breathing techniques, each one depending on the type of asana’s you’re doing. The different types of yoga also have different benefits and use. When flowing in yoga, it’s important to focus on the breathe as this helps with both mental and physical concentration. Proper breathing can also help to hold certain poses for much longer and helps alleviate stress and balance out the body. Type in the word yoga on any search engine and thousands of images of yogis in flexible yoga positions would flood your screen. Improving flexibility is one of the goals and outcomes of practicing yoga regularly. There are tons of gurus with specific stretches and poses that you can ease yourself into. In our post about the Top 5 Yoga Stretches To Practice To Do The Splits In Four Weeks we discuss the popular Japanese yoga instructor Eiko and her four-week program to doing the splits. Eiko’s philosophy is not only about achieving flexibility in not only your body but your mind. When you’re ready you can try the most difficult yoga poses to challenge your flexibility. Apart from the mental and physical, yoga has been proven to be linked to preventing and reversing heart disease, when coupled with other healthy heart practices. In Top 5 Yoga Poses To Practice for a Healthy Heart we lay out 5 easy poses that help reduce stress, increase blood circulation and all contribute to promoting a healthy heart. Typical, yet functional poses like the mountain pose, easy pose, and the downward dog can all help prevent heart disease. Implementing these poses into your regular exercise routines and holding each pose for one to three minutes is a great way to start reaping the benefits. 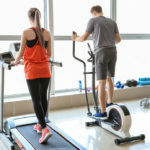 Whether you’re someone who likes to get your workout in early in the AM or you’re more of a gym night owl, working out regularly is proven to help improve your sleep. Yoga is known for its relaxation properties, and there are tons of yoga positions that you can do before bed for a restful sleep. Come into a child’s pose on your bed and hold it for two to four minutes with deep breathing can help reduce stress and prepare the mind for sleep. Counter the child’s pose with a supported bridge pose by placing a couple of pillows under your lower back. Yoga is an incredible aid for assisting in detoxification. The stretching and movement stimulates all cleansing functions (circulatory, digestive and lymph) of the body, meaning that if you are currently detoxifying your diet and therefore your body, this practice can help you speed the process up and increase the effectiveness of the detox as well, reaching into the deep dark corners of the body. Elevate your hips in a seated position. Bend your knees and slide your left knee forward with your left foot to the outside of the right hip. Step the right foot over the left leg and place it on the outside of the left thigh. Exhaling, twist toward your right hip. Your right hand lightly supports your back and your left elbow anchors on your right thigh. Take 5-10 breaths here, relaxing deeper on each breath. Half Lord of the Fishes pose sounds and looks complicated but it is one of the best for shoulders, hip abductors, neck, IT band, chest, and obliques while strengthening the spinal rotators. Make sure your body is warmed up for this pose. From downward dog, sweep your right knee forward and under your body, flexing the heel and resting it on the outside of the right wrist with your knee pointing out from your hip at about a 45-degree angle. Your navel is either facing straight ahead or down at the floor. Your back leg slides straight back from the left hip. Once as far back as is comfortable for you, rest your front knee, thigh, and top of your foot on the mat. Slowly lower your body down over your bent leg with your arms forward. Allow yourself to rest deeply into this pose for as long as you want. Pigeon is excellent for accessing the hip abductors and flexors, an area where many people, particularly women, store toxic-laden fat. Stretching this area will help greatly in your detox process. From a seated position with one leg extended, bend your other knee out to the side, bringing the sole of your foot in towards the groin. Keep your thigh at a 90-degree angle, and begin to reach your heart towards your foot by folding over the extended leg. Relax your neck and lengthen from the lower back. Stay here for 10-15 breaths, resting deeper into the pose with each breath, and then repeat on the other side. Massaging the internal organs by stretching the hamstrings and lower back while opening the shoulders and hips, this pose really works the entire body while allowing you to relax into it. Excellent for juice fasting or intense detoxification diets. Sitting upright with your legs straight ahead, bring your right knee in placing your foot on the floor in line with your right sitting bone. Use your right hand behind you under our shoulder as you lengthen your spine for a twist. Begin the twist by first turning at your navel, then your ribcage, and then your upper chest. As you rotate, bring your left forearm around to hold your right shin. Draw your right shoulder blade toward your spine to help deepen the twist. Press out through your left heel, keeping your toes pointed. Stay in this pose for 10 to 15 breaths. Squeezing the organs is the main detoxifier in this pose, although you are also strengthening your spine. On your journey to becoming a full-on yogi, you’ll probably be getting a lot of yoga tips thrown at you. Wear this, do this yoga position, eat this, breathe like this and so on. The biggest thing to remember is that yoga is about the mind and body aligning and not about the ‘things’ you need to be the perfect yogi. That being said, we can’t help but have our favorite brands that will make you feel and look great during your practice. When looking for the perfect yoga pants its important to take into account the fabric and the fit that will give you the perfect amount of stretch. Nowadays everyone’s got their go-to yoga pants that they throw on for a quick session or even to run errands. Whether you’re into the classic black yoga pants like Lululemon’s Align Pant, or like to spruce up your look with floral and mesh panels, there is a brand out there for every yogi. Check out our reviews for best yoga pants, where you can find popular and practical brands for everyone. Finding the right yoga mat can be tricky, especially with a wide variety of materials that range in thickness, texture, and stickiness. In general, you want a yoga mat that is thick enough to support your joints and offers the right amount of grip so that you won’t slip during your sun salutations. 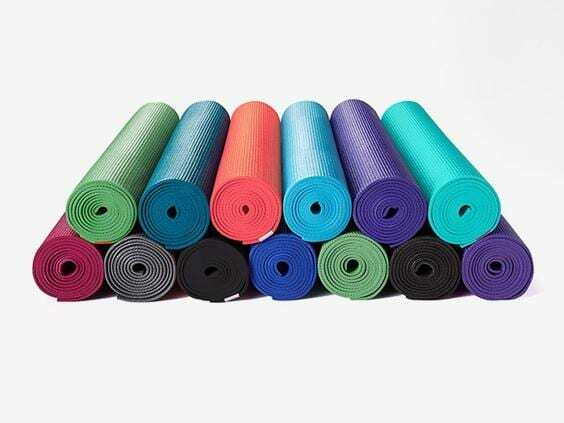 Yoga mats should also be eco-friendly, using materials like PVC that are free of toxins like phthalate. Brands like Yogamatters are great for people who are new to the practice. The yoga mats are lightweight and affordable enough so you don’t have to break the bank when you’re just starting out. For people who have been practicing for longer or who are going to be doing more complicated poses that require a bit more grip may have to spend a bit more on finding the perfect mat. Brands like Manduka, Jade Harmony and Liforme have premium yoga mats that absorb sweat and hold your positions. Check out our review of the best yoga mats recommended by Yoga influencers and instructors to see which one is right for you. So you’ve done your at-home yoga, you’ve joined your local studio and you’ve got a killer collection of yoga pants for every day of the week. How do you take your yoga journey to the next level? Consider amping up your yoga experience by going on a spiritually enlightening yoga retreat. Yoga retreats all vary in what they offer. With the increasing trend of Instagram influencers showing off their glamorous yoga holidays, it can be hard to sort through the sea of yoga retreats. If you’re looking to dive into the history and philosophy of yoga, as well as recharge at a getaway in a beautiful setting, there are plenty of yoga retreats all over the world. India is known as the “birthplace” of the ancient practice that has taken the wellness world by storm. For those looking to delve deeper into the historical and spiritual side of yoga, India is a great place to find exactly what you’re looking for. Imagine working closely with gurus, meditating in a beach resort, learning about Ayurvedic medicine and truly unplugging from the hustle and bustle of life. In the 5 Magical Yoga Retreats In India for Those Looking To Unplug, you can find a range of retreats like the SwaSara Retreat, Shreyas Retreat, and the luxury Ananda Yoga retreat. These retreats blend tradition with holistic lifestyle practices and are each transformative in their own way. There is nothing like the gentle sound of waves crashing against the shore during a daily meditation or vinyasa flow. That’s why most people choose a beach resort or tropical island as their ideal location for yoga. Truly unwind in places like Bali, Hawaii and St. Lucia while soaking up the sun. Many offer all-day yoga classes and meditation workshops within minutes of picturesque beaches. The Island Experience in Ilha Grande, Brazil offers special detox and relaxation programs at a spa and fitness lodge surrounded by 106 beaches. The Maya Tulum Resort is located in the Yucatan Peninsula of Mexico, just 90 minutes south of Cancun. Maya Tulum is a popular destination for yoga retreats, hosting more than 50 each year. Lastly, get the ultimate holiday treatment at The Body Holiday retreat in Castries, St. Lucia. You can have your pick of all day long Hatha, Ashtanga, restorative, and vinyasa flow classes in a resort tucked in the rainforests and minutes from beautiful Caribbean beaches. Consistently named as one of the best yoga retreats in the world is Big Sky Yoga Retreats in Bozeman, Montana, an hour north of Yellowstone in Big Sky Country. This women-only yoga retreat is all-inclusive and caters to every fitness level, from the yoga novice to advanced pro. Big Sky Yoga offers a variety of programs, complete with names only a girl could appreciate, like Cowgirl Yoga, Eat Pray Love Yoga and Hike, Cowgirl Yogatography, Winter Wonderland, Cowgirl vs. Cancer, and Luxe Cowgirl. With the mountainous outdoors serving as the retreat’s backdrop, each program focuses on different styles of yoga while incorporating a particular activity, like horseback riding, photography or hiking. Believe it or not, the reason why yoga has gained a huge following in the past decade is not only because it improves flexibility and melts away anxiety. Yoga is genuinely fun, and its followers think so too! It’s a great way to work out the body and mind and meet others who love to do so. The ‘fun’ aspect of yoga can be enhanced by trying different types of yoga that will take you to new places in your yoga journey. If you’re into trying new, quirky things then take a look at some of these Top 5 Types of Alternative Yoga. Caution: may upset yoga purists! 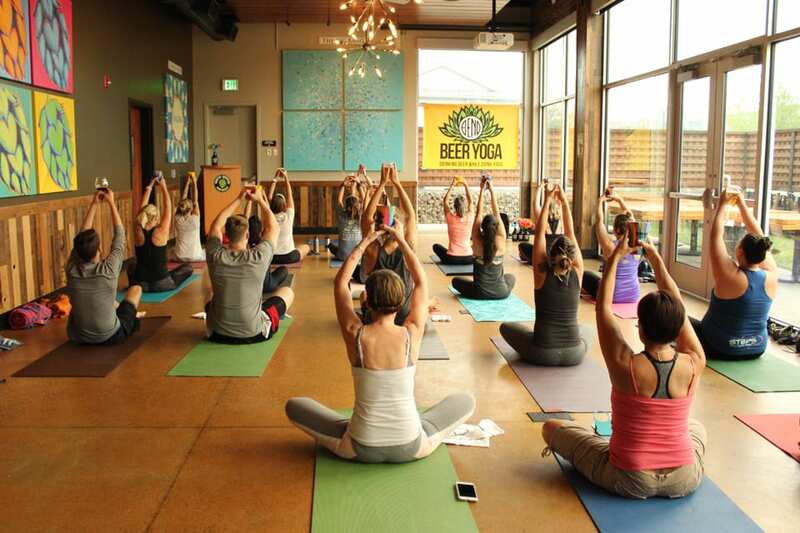 Beer yoga is one of the trendiest types of alternative yoga styles that has been making its way to cities across the country. If sipping on craft beer in a laid back yoga class with fun-loving people is your thing, then going to a beer yoga class will be your cup of tea (or glass of beer). You’ll come out feeling blissed-out, with new friends and great memories. Check out the Top 5 Surprising Things That May Happen During Beer Yoga for more. Get into the flow of yoga by trying yoga in a pool, or as some like to call it- Aqua Yoga. Aqua yoga is not only refreshing, but it’s restorative and great for the body. Aqua yoga combines the buoyancy of the water and traditional yoga asanas to relieve stress and keep pain to a minimum. Find out what yoga is like by completely flipping the quiet, peaceful element of the practice and replacing it with trap music. Trap yoga, originally created by Brandon Copeland of Washington D.C. is a trend that has hit many cities, seeking to reach lovers of the hip hop and trap music and the techniques of Ashtanga yoga. There are tons of other types of yoga that you can find if you’re looking to spice things up. Check out more on that here.